First of all if you want to create a character animation you need various sprites for that character showing specific movement positions. Playing a sequence of sprites in succession gives you the illusion of an animation. Many other sprites for other characters are also available. 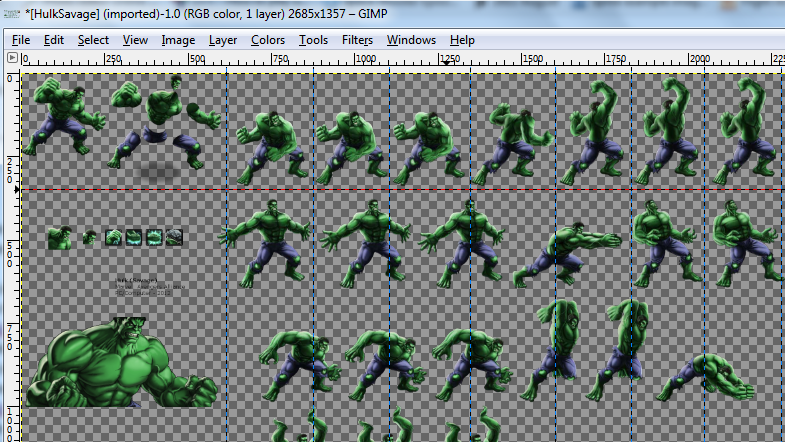 Here i have chosen the punching sprites in the upper row for slicing and animation. Then go to filters->web->Slice and a dialog will open for you to specify the prefix for the file names that will be sliced. 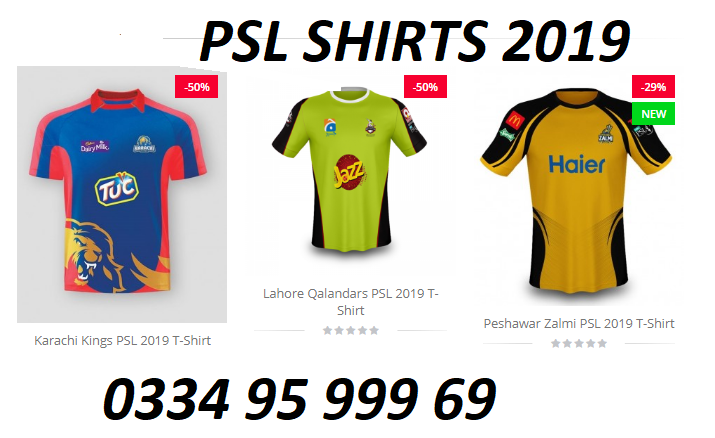 Also specify the location where the sliced images will be placed. Why do we need to create a sprite sheet when we can use the images as well? 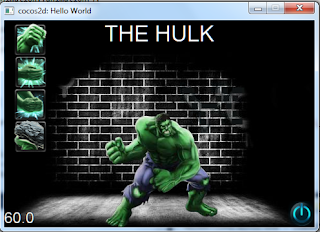 The reason is that a sprite sheet is quicker to load and uses less memory and gives a smoother user experience. So TexturePacker is also available for download but on a trial basis. Its very simple to use, you just add the folder which contains the images to be loaded ad it puts all of them in the spritesheet. Infact, multiple folder contents are also merged into one sprite sheet. Now we have to make sure all our resources are complete. 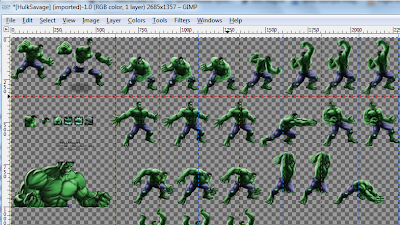 I chose four images for the action buttons to make the hulk move. I also created a sound file for the hulk. I would recommend mp3cut.net for manipulating sound files. Place all you images, plist and sound file in the resources folder of your cocos2d-x project. Item Reviewed: character animations in cocos2d-x using sprite sheets 9 out of 10 based on 10 ratings. 9 user reviews.